Practical Law goes beyond legal research and delivers the know-how to help lawyers more quickly interpret and apply law. Its comprehensive content is created with front-line lawyers in mind, offering the concise, up-to-date resources needed to practice more efficiently, improve client service, and grow their practice. 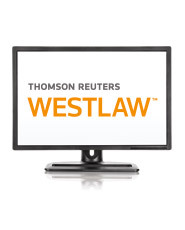 Practical Law resources are created and maintained by a team of over 130 expert attorney editors who have worked at the world's leading law firms and in-house departments.